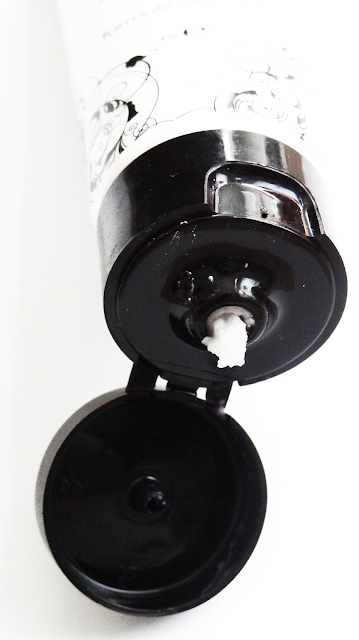 Hard Candy Sheer Envy Primer Photos & Review! Primers are important to put on before foundation. They help to seal pores, makes your skin look smoother and helps make your foundation last longer. Primers can be expensive so I wanted to try a cheaper alternative before I invested in a higher end primer. Through reading reviews I found that the best at the drugstore is the Hard Candy Sheer Envy. 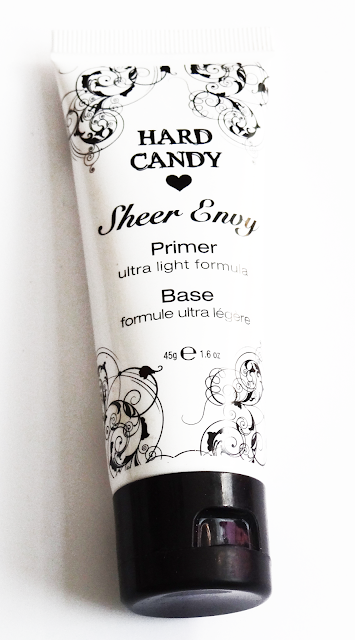 Hard Candy has other primers in the Sheer Envy line as well such as: perfecting, dark spot, color correcting, and shine free. I haven't tried out the other primers in this line. It comes in a white squeeze tube packaging. The product claims to be a lightweight formula that can minimize imperfections and gives a velvet smooth feeling. The product is white but as you blend it's clear. It looks thick but it's actually very light weight. It leaves the silicone feeling but does make your skin feel smooth. I don't notice it filling in my pores or minimizing my skin's imperfections that much. It can be greasy sometimes. I do find my foundation lasting long but with some foundations it can feel like it just slides off. This primer can have the feeling like it doesn't dry completely. I usually put this primer on and then do my eyes and come back to my foundation. After having it awhile I have noticed that it can be thick and crumbly when you try to squeeze it out. It's like the product starts to separate, and there have been times where if I don't shake it up it gets watery. I saw that they have changed the packaging of this, but I'm not sure if the formula is different in the new ones. Overall I do love this but I don't like how it's greasy and can get watery.